Students across the country, across Kansas, and across Salina walked out Wednesday morning. At 10:00 local time students walked out, and advocated for safer schools and stricter gun safety laws. The walkout was designed to last 17 minutes, or one minute for each person who died in last month’s mass shooting at a Florida high school. Students at both Salina South High School and Salina Central High School participated. 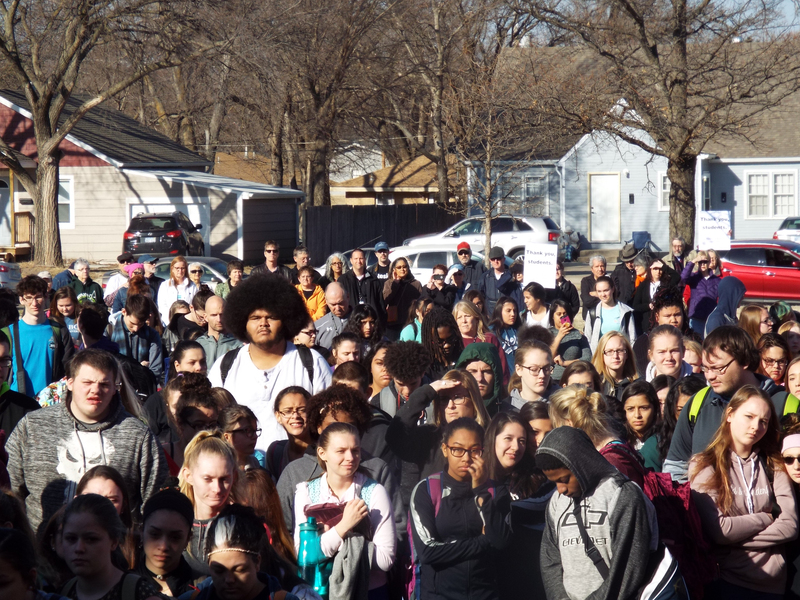 At Salina Central, a large group of students walked out and gathered in a grassy area outside the school. A moment of silence was held in honor of the 17 students and faculty who were killed in Florida a month ago, then 17 different students spoke. Each student read the name of one of the Florida victims, paused, then read a message. In the end, as the students prepared to walk back into to school, they were urged to “walk up”. They were urged to “walk up” and sit with a lonely kid at lunch, “walk up” and greet a new student, and to “walk up” and offer a smile in the hall, not to just those who you know but to a stranger. “It is our turn to make a change, now more than ever,” this final speaker concluded. Along with the student gathering, a small group of about 20 citizens gathered as well to support the students and their efforts. 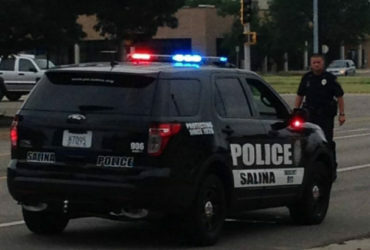 Salina Central High School students gathered on Wednesday morning. 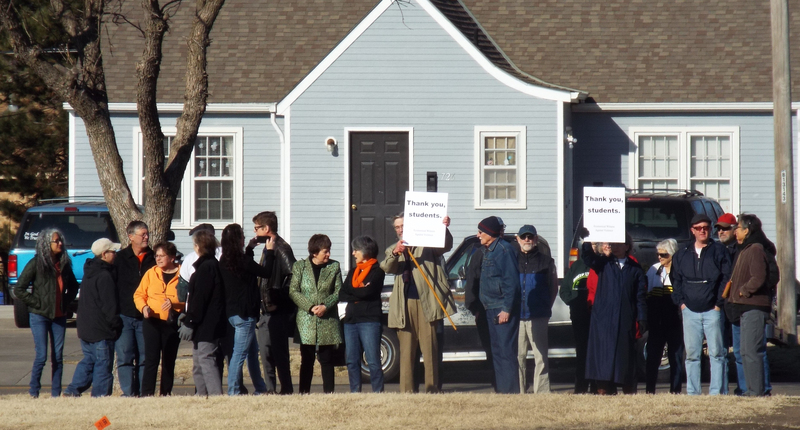 A small group of citizens gathered to support the students at Central.